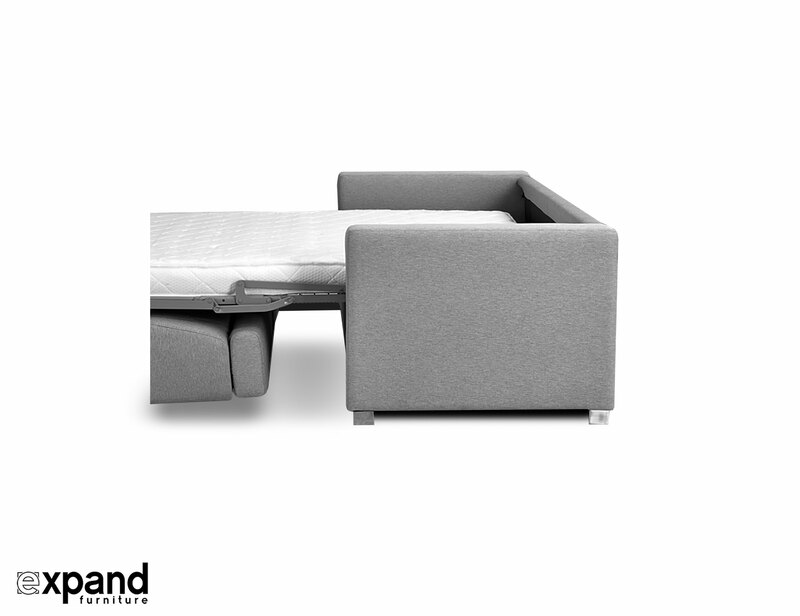 The Dormire Pull Over Sofa bed is a convenient way to transform your sofa into a sleeper. 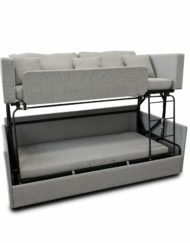 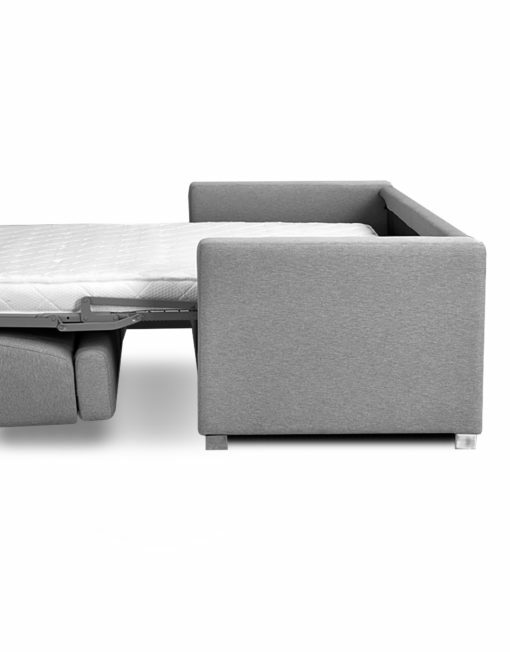 Not only is it lighter to open up than a conventional Sofa Bed, it also allows you to leave the sofa cushions on when you transform into sleeper mode. 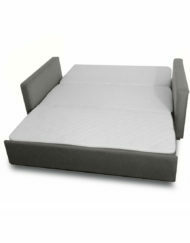 Once opened the memory foam mattress rests on a grid support system that doesn’t create awkward bars or bumps like a conventional pull out. 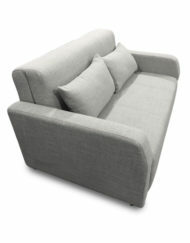 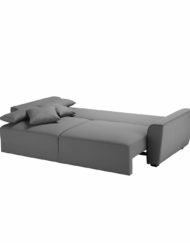 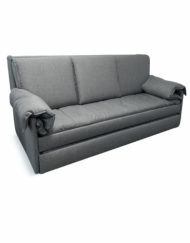 The Pull Over system combined with a comfortable mattress offers a far better design for a convenient sofa bed. 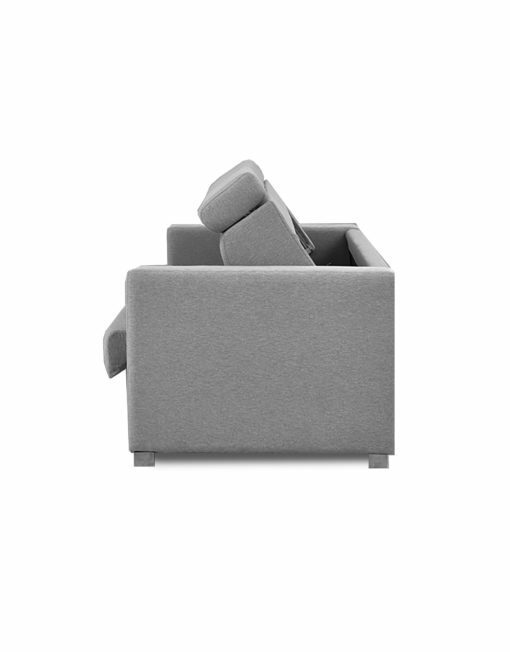 In Stock – Ships to Canada and the USA, Limited Inventory. 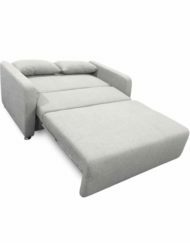 The Dormire Pull Over Sofa Bed is built for an easier opening as well as being able to leave your couch cushions on and bedding inside. 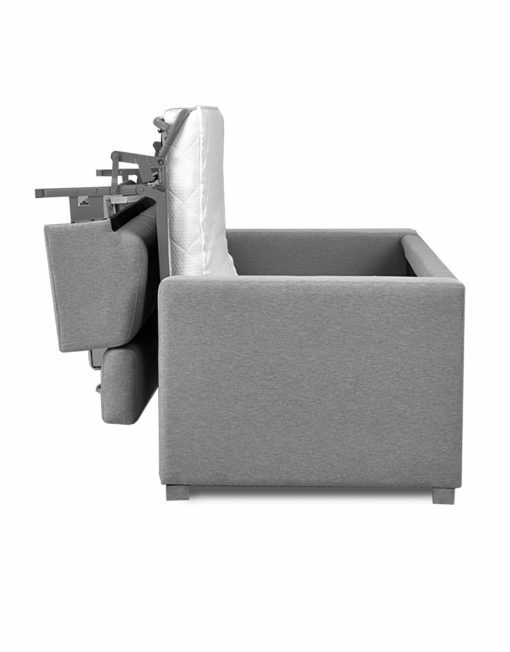 That is right, the Sofa cushions stay in place and you pull the sofa over rather than out. 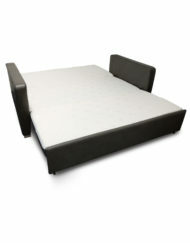 The couch goes over and then underneath the mattress in 1 fluid motion to reveal a comfortable memory foam mattress. 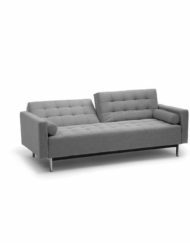 You get an even sleep without awkward bars or coils and you get a great sofa that even has adjustable head rests and lumbar support. 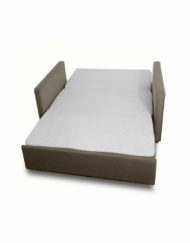 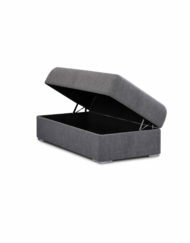 It fits double/full sized sheets and duvets and you can leave the sheets on when you close the bed back into Sofa form. 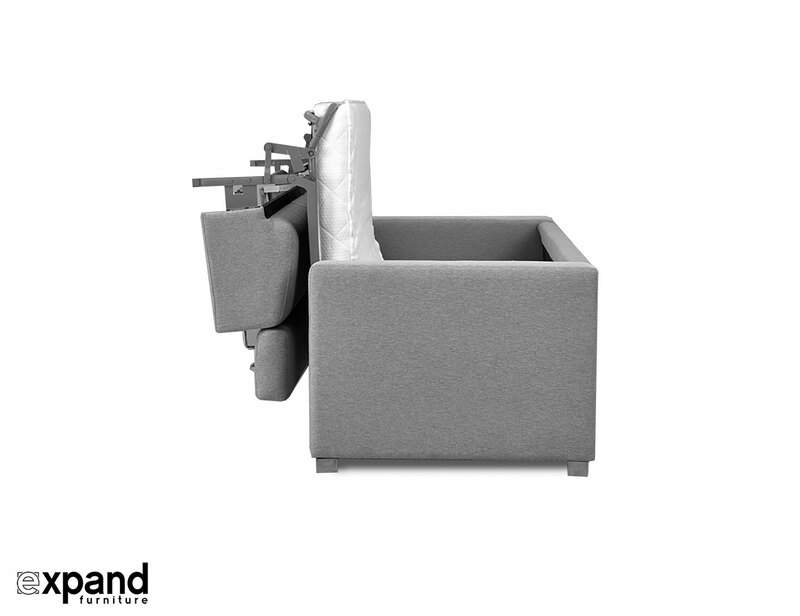 Ships by Ground Freight with in home delivery. 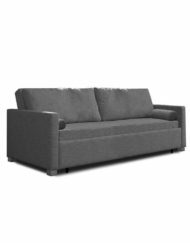 Allow 2-3 weeks. 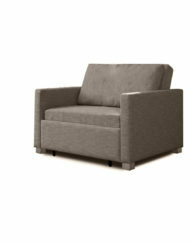 Curbside might be available for quicker delivery if you do not require in-home, please inquire. 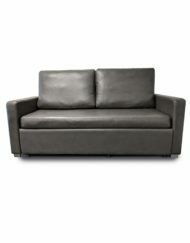 International, Hawaii or Alaska please inquire. 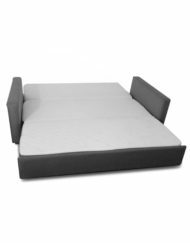 Mattress size: 71″ x 55″ – Close to a Full/Double sized mattress and compatible with this bedding. 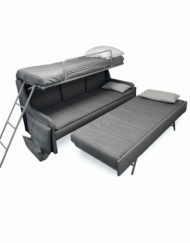 The pull over sofa bunk is delivered fully assembled. 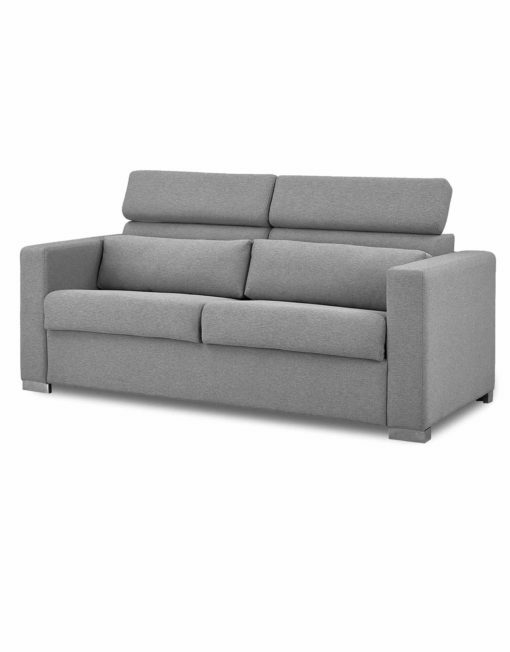 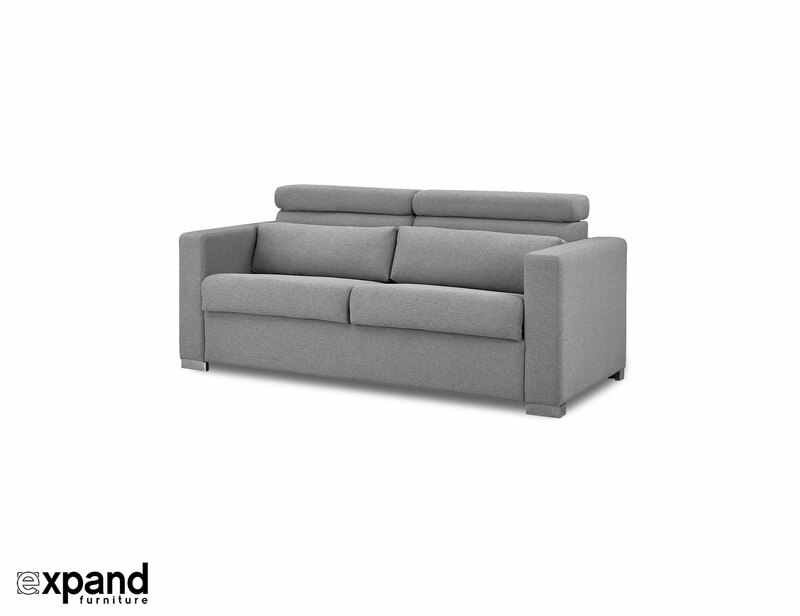 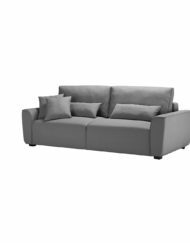 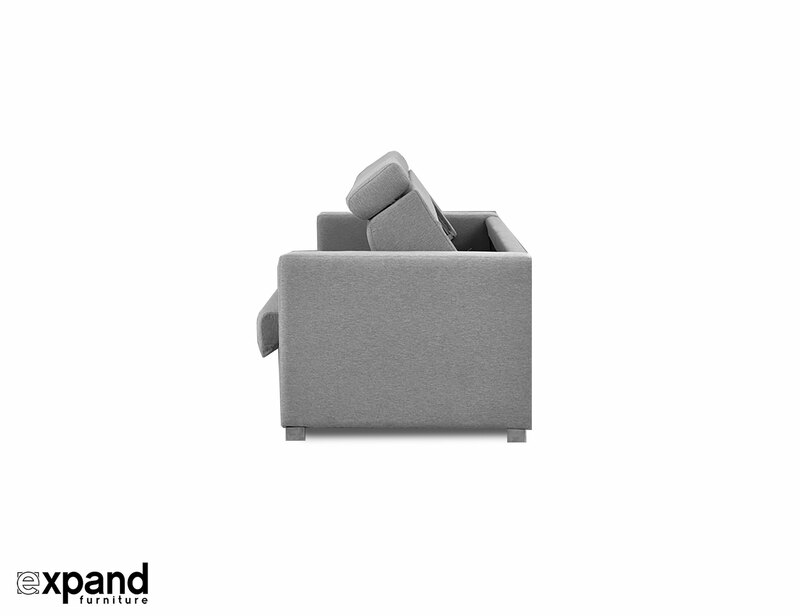 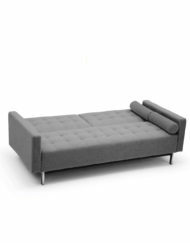 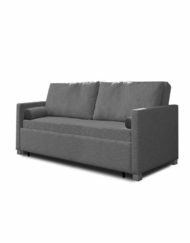 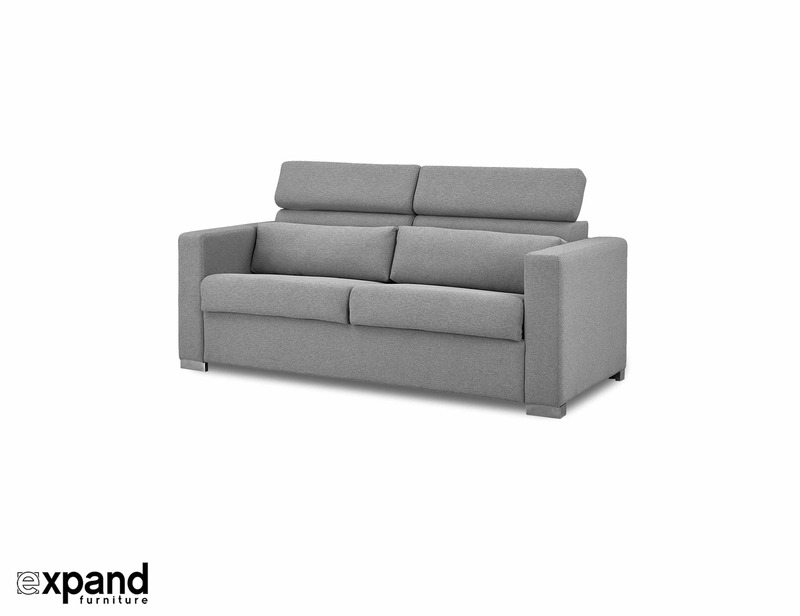 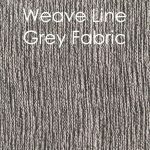 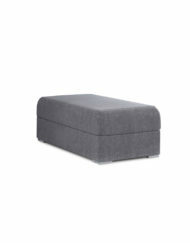 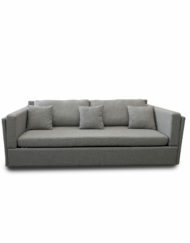 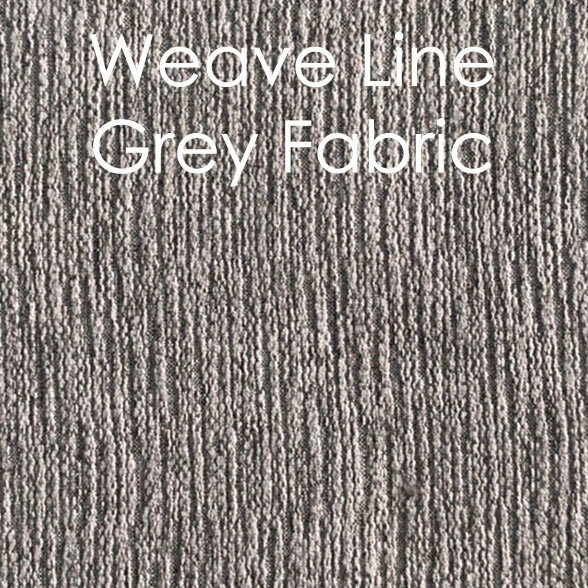 Only available in the Weave Line Grey Fabric: 100 % Polyester woven fabric make our designer couches immensely comfortable and are great for durability and wiping away minor spills.